That's your audio unit. 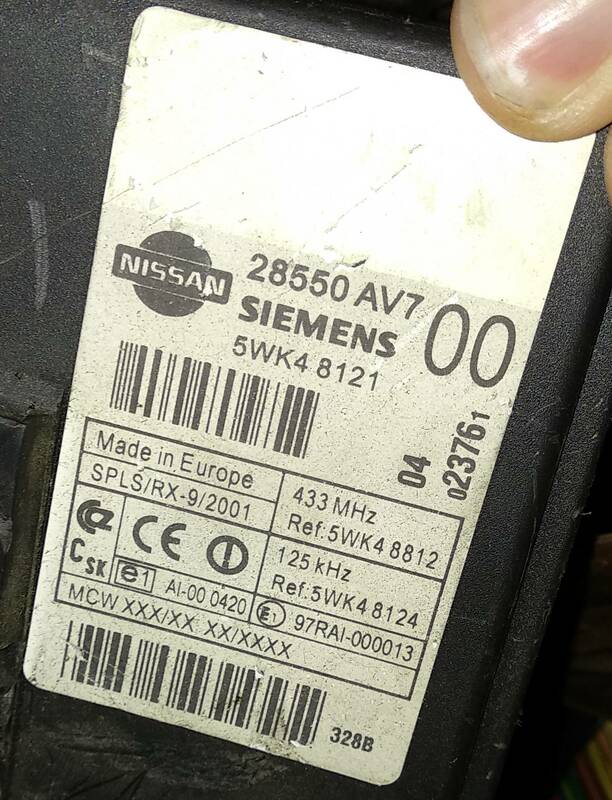 The SEC unit should have a part number like this: 28550-AV700. It's under the dash/steering column thereabout. Google it. On yours, copy out the six figures (four are in bold characters) to the far right, and then the four figures at the bottom beside the bar code. So you're sending two sets of figures. Or in short - The image needs to be uploaded to any webspace and then linked in here using the image tags. So how do I get the PIN to update to the new ( used ) radio / cd unit and then enter it? But how do I actually enter or use the PIN Cod? By using your Launch to programme the key if it has the capability. If it has it will prompt you to enter the code. OK, thanks! Don't think the launch will do it, but we'll see. I checked Launch X431 Pro and it says it can do "Key/immobiliser coding."